Ebbie's Top Theater Performances of 2014! 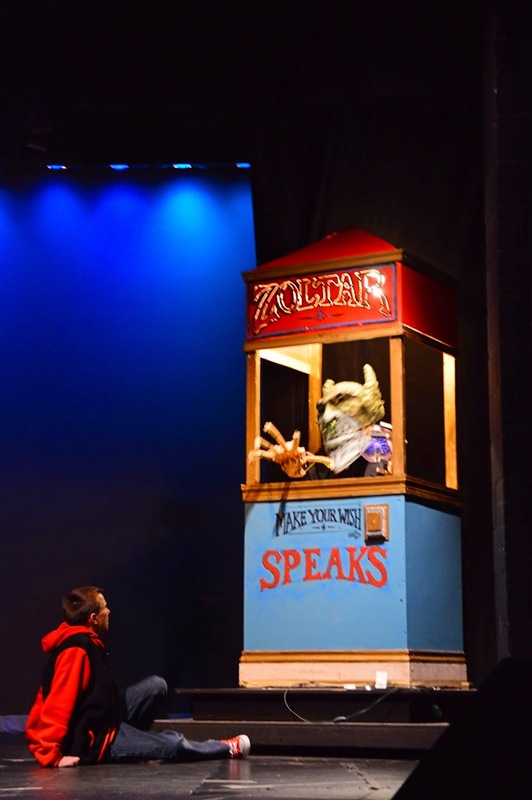 2014 was another wonderful year for the theater in Delaware! I was excited that a Delaware-based theater company, in this case the Wilmington Drama League (WDL), was producing the coming of age show, 13, The Musical. I had taken my nephew to see the musical on Broadway about five years ago and I thought, "what a fantastic show to introduce young teens to the theater!" The WDL's production was highlighted by the rousing performances of its young cast members. The production was such a success that it was transferred to a professional theater company in Pennsylvania! I was floored by Kathleen Pirkl Tague's performance in The University of Delaware's Resident Ensemble Players' production of Margaret Edson's play Wit. Tague perfectly captured the emotions and struggles a person goes through while not just fighting, but coming to terms with advanced stage cancer. This play doesn't just land on my top for 2014, but my top for the decade! I always love spending a summer evening outside watching a performance and the Delaware Shakespeare Festival's exhilarating production of Hamlet did not disappoint. Sipping wine while watching one of the Bard's best tragedies with a great friend made for delightful summer evening. From the stellar cast to the amazing set, the production was absolutely mesmerizing! It was a great treat to see two veteran TV actors (Michael Learned and Daniel Davis) star in A.R. Gurney's sentimental two-character play Love Letters at The Delaware Theatre Company (DTC). I hadn't seen the play since I was in high school when Colleen Dewhurst and E.G. Marshall portrayed the parts at The DuPont Theatre, then The Playhouse. The DTC production immediately reminded me why I fell in love with this charming play so many years ago about a relationship between two people over the course of their lives. I look forward to seeing more great theater in 2015! It’s hard not to think of Tom Hanks playing Heart and Soul and Chopsticks at the quintessential New York City toy store, FAO Schwartz (aka "MacMillan Toys" in the movie) when someone mentions the film Big. Fortunately for the audience at the Wilmington Drama League (WDL), they see the iconic scene from Penny Marshall’s 1988 film live on stage in their holiday show, Big, the musical. With a boisterous score by David Shire, Big the musical is exactly what it says it is…it’s BIG! Sharing the writing with Richard Maltby, Jr. (lyrics) and John Weidman (book), the three men have created a show that’s perfect for the whole family during the holiday season. Directed by Kathy Buterbaugh, Big the musical follows 12-year-old New Jersey boy, Josh (Connor Carp) who likes 13-year-old Cynthia (Rachel Ford). While waiting in line for a carnival ride — which he ends up being too small to ride — he learns Cynthia is dating a boy old enough to drive. Distraught, Josh visits the Zoltar Speaks machine and wishes to be "big." The next morning, Josh wakes up a grown man (Daniel Urdaneto). Not recognizing her now-grown son, Josh’s mother (Kansas Lynn Battern) kicks him out of the house. With the help of his neighbor and best friend, Billy (William Rotsch), Josh travels to New York City to find a Zoltar Speaks machine in an arcade, but instead finds he must wait weeks for a listing of machine locations. What else would a 12-year-old boy do, but make his way to FAO Schwartz (MacMillan Toys), where he meets Mr. MacMillan (Jack Jordan) who owns a faltering toy manufacturing company. 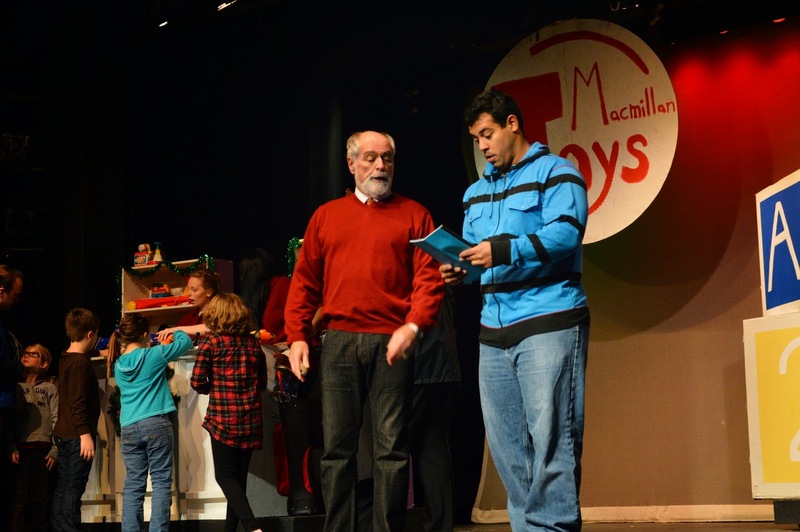 Impressed with Josh’s knowledge of toys, Mr. MacMillan offers him a vice president position and an apartment. Josh now has a place to live, an office with a view of the Statue of Liberty and a job that requires him to play with toys all day…a perfect life for a young boy. But, Josh has to contend with his yuppie colleagues Paul (Bill Swezey) and Susan (Sharon Rueggsegger), who are in a tumultuous relationship and are unable to create a successful holiday toy for the company. Chaos ensues as Susan begins to drift away from the smarmy Paul and develop feelings for Josh. With Josh, Susan starts to reconnect with her inner-child and enjoy life, instead of climbing the corporate ladder. When Josh finally finds the Zoltar Speaks machine, he has to decide if he’ll stay in his adult form and continue his relationship with Susan or return to his family and friends. Making that choice is Mr. Urdaneto who is brilliant as a man-child. His mannerisms — even the way he takes off his coat — are exactly what you would expect from a 12-year-old. He has a gorgeous voice that soars throughout the theater. Playing opposite him is an equally brilliant performer, Mrs. Rueggsegger as Susan. Mrs. Rueggsegger, who sings most of the show’s ballads, is amazing. She has a gorgeous voice and I could’ve listened to her sing all night. Ms. Battern as Josh’s mother and Mr. Rotsch as Billy give rousing performances. The four actors lead a BIG enthusiastic cast that keeps the show in motion, especially during the BIG splashy dance numbers choreographed by Brett Anderson. Set Designer Pete Worth has created BIG sets that delight and actually become characters in the show! From Josh’s bedroom to the carnival (where the Zoltar Speaks machine is) to Josh’s whimsical office and apartment, the sets do not disappoint. Big, the musical runs through December 28, at the Wilmington Drama League. Visit Wilmingtondramaleague.org or call 302.764.1172 for additional information and tickets.